Do you struggle with indecision? 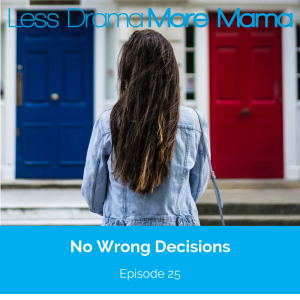 There was a time (not too long ago) when I felt overcome with anxiety about making even the smallest decisions. Then, one single thought helped me feel more confident about making both big and small decisions in my life. Tune in to today's episode to find out what it was, and to learn five strategies to help decision-making easier for you.